This ad was posted on April 10th. To contact the owner please register an account & log in. 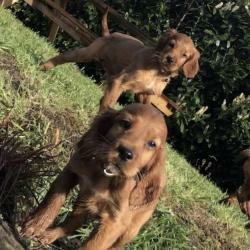 Beautiful 8 week old pure bred red setter puppies for sale. 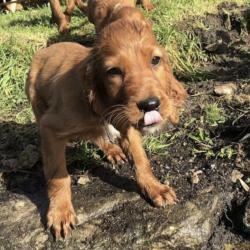 They’re wormed, vaccinated, micro-chipped and IKC registered - so they’re ready to go to their new loving home. They’re extremely playful and friendly. They’re also very intelligent and have already been trained to come to a whistle. They will make amazing pets. 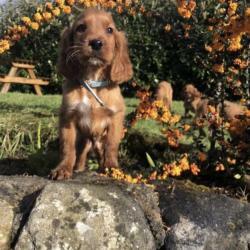 Their father is a registered pedigree red setter and is a very lazy and inexcitable dog. Their mother is also a registered pure bred. She is gentle and affectionate. I have 5 boys and 3 girls. Boys are €450 and girls are €500. If interested please send me a message telling me a bit about you. If you’ve any questions please don’t hesitate to ask! 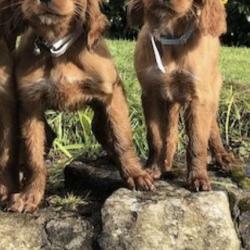 See other Setters for sale.